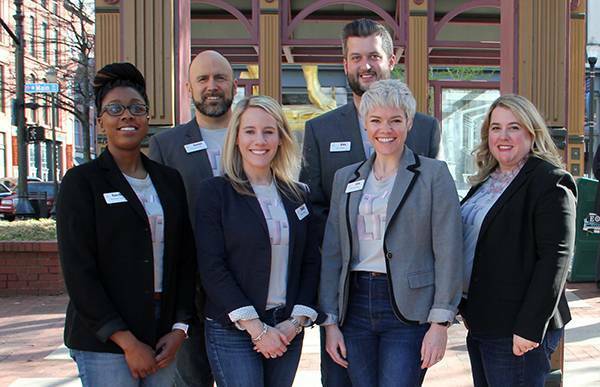 Louisville, Kentucky (April 11, 2019) – The 21st class of Leadership Louisville Center’s Ignite Louisville program graduated on April 10 following a day of presentations to a panel of esteemed judges. The six teams put their work for local nonprofits on display in hopes of winning the Ignite Louisville Challenge and earning additional funds for the agency they worked to assist. The team working with Louisville Youth Group was selected as the winner of the challenge and will receive the $1,500 prize made possible by the Leadership Louisville Center. While one team was selected as the winner, all six nonprofit agencies received significant support, with the six teams contributing over 2,500 hours of service and providing over $350,000 in value to the nonprofit agencies. 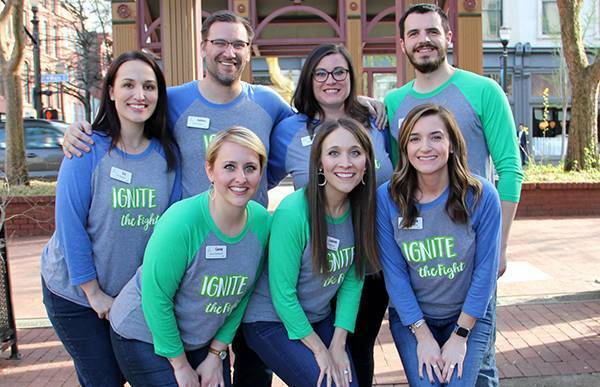 Presented by Norton Healthcare, Ignite Louisville is a six-month program that grows young professionals by developing the key components of leadership. The program has graduated over 950 up-and-coming leaders and offers two classes each year, preparing next-generation talent for expanded roles in their organizations and in the community. The Ignite Louisville Challenge is an opportunity for teams from the Leadership Louisville Center’s Ignite Louisville program to undertake a project for a local nonprofit, gaining experience in community leadership, board involvement, and teamwork. 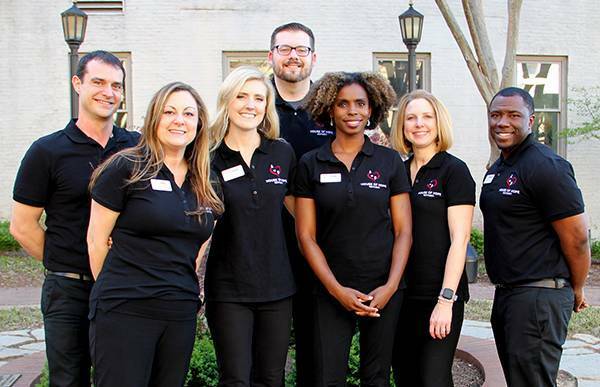 Since the first class graduated in 2005, Ignite Louisville participants have worked on over 125 projects for area nonprofits to plan, execute and sustain new strategies for success. Participating nonprofits benefit from the expertise and energy of the teams, which each invest hundreds of hours with their nonprofit agency as they compete for donations. Click to see team photos and results achieved by each team for their nonprofit partners. Andre Barrie, Farm Credit Mid-America; Nina Cassity, Louisville Metro Revenue Commission; Nick Kues, Humana Inc.; Lisa London, University of Louisville; Jennifer Metro, Norton Healthcare Foundation; Brett Rosenblum, Kentucky Democratic Party; and Annie Smith, Southcentral Kentucky Community and Technical College. Our Ignite Louisville team from Leadership Louisville Center is outstanding. They are a group of exceptional individuals with a broad set of skills, and a deep passion and commitment to their community. Their zeal for Louisville Youth Group is undeniable, and we will truly miss them when their time is finished. The work of the team has transformed our space into a home for our youth, solidified foundational policies, and drastically increased our visibility and notoriety in the community. They have helped LYG achieve steps that could have taken years to complete if not for their presence, dedication, and enthusiasm. We hope they know that they will always be part of our family. Raechele Gray, Endeavor Louisville; Emily Irwin, Wyatt, Tarrant & Combs, LLP; Jonathan Jeanty, NIMBUS; Elizabeth Liebschutz-Roettger, University of Louisville-College of Business; Alex Marks, J.J.B. Hilliard, W.L. Lyons, LLC; Erin Quinlan, The Kentucky Center Governor’s School for the Arts; and Daniel Wirth, American Red Cross. The team paired with Girls on the Run Kentuckiana (GOTRK) provided over $30,000 in services and funds raised to help the organization promoting wellness and goal setting for girls in our community. As part of the project, the team kicked off a 12-day crowdfunding campaign which raised $12,706 for the nonprofit. In addition, they provided GOTRK with information for a signature event (per their ask), ways to enhance their Solemates team race fundraising program, created a social media plan, and produced professional video. They hosted a casual friend-raising event at the start of their campaign to help introduce people to the organization and helped recognize the Executive Director Terri Tucker by nominating her for Louisville’s Business First, People You Should Know in Non-profit, for which she was selected. Over 260 hours were dedicated to this project for Girls on the Run Kentuckiana. The Ignite Louisville team definitely took the Girls on the Run Kentuckiana mission to heart, and set out to positively impact as many girls in the community as possible. They were creative, hard-working, and exceeded their fundraising goal. They provided our organization with an amazing marketing video and innovative ideas for future fundraising activities, and also helped us establish connections with valuable corporate sponsors. The team has been great to work with and we hope they will choose to stay connected with us in the future! Amy Blanchard, Restaurant Supply Chain Solutions; Lisa Brents, Nativity Academy; Christopher Carrico, Yum! Brands, Inc.; Da’Marrion Fleming, Sowing Seeds with Faith; Malena Kraig, Anthem Blue Cross Blue Shield; Matthew Lea, Springstone; and Julia Stough, Tandem Public Relations. I cannot say enough about our Ignite Louisville team. You came out running and never stopped! Your motivation, endless hours of work during this project has been an inspiration not only for me but also to the women we serve. The benefits received from your gifts and talents have been invaluable. You have truly given House of Hope the ability to reach more people, increase awareness and so much more. You are amazing! Morgan Eklund, Fund for the Arts; Lauren Hitron, Sacred Heart Schools; Jenita Lyons, Norton Healthcare; Jason Miles, Republic Bank; Jennifer Mulvihill, LG&E and KU Energy LLC; Angela Champion Sprowl, St. Vincent de Paul Louisville; and Jason White, KPFF Consulting Engineers. 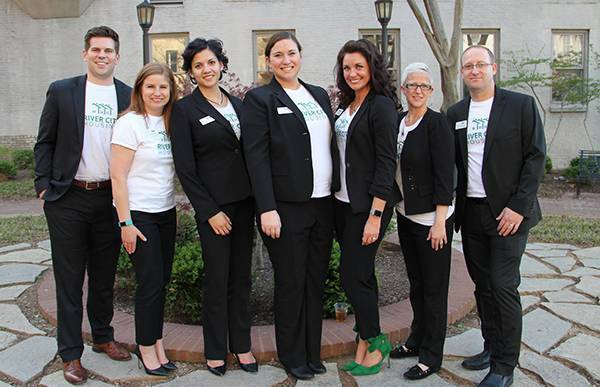 The Louisville Free Public Library Foundation (LFPLF) charged the team with enhancing their ability to engage and fundraise with a broader community (particularly a younger demographic) around existing programming. The team focused on three key areas: participation, advocacy, and fundraising. 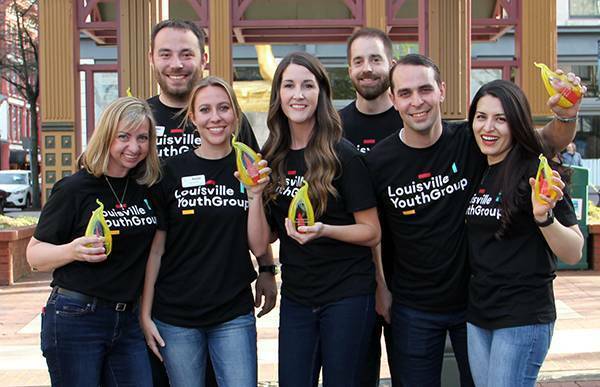 Jessica Bickwermert, University of Louisville Hospital; Sara Bowman, Flavorman; Amanda Caufield, Dant Clayton Corporation; Molly Fox, BrightSpring Health Services; Joseph Reverman, Louisville Metro Government; Michael Somervell, CBRE; and Kate Vance, Yum! Brands, Inc.
“Wow! Our Ignite Louisville team called themselves ‘Seven Wonders’ and certainly lived up to their name! To be considered a “Wonder of the World” it requires accomplishments that not only had never been achieved before, but achievements previously unimagined. That accurately defines the results that River City Housing received from our Seven Wonders team. They consistently went above and beyond on our behalf and accomplished more than we could have imagined. Seven Wonders shared their unique skills, knowledge, time, and resources to help improve the lives of those we serve and build our capacity as an organization to continue doing so more efficiently and effectively going forward. More importantly, they are seven wonderful people that made each of us better and for that we are very grateful. James Halaris, Brown-Forman Corporation; Cassidy Hyde, Make-A-Wish Ohio, Kentucky and Indiana; Lauren Johnson, Louisville Tourism; Liz Morgan, Courier-Journal Media; Maria Pepitone, Humana Inc.; Luke Rebholz, Messer Construction; and Casey Stallsmith, Hosparus Health. The Leadership Louisville Center is the region’s most valuable resource for leadership development and civic engagement. With a purpose to inspire and equip leaders to be better and do better, it has graduated over 10,000 through its civic programs since 1979. The Center is recognized as a national best practice and is known for its dynamic programming and strong community connections. 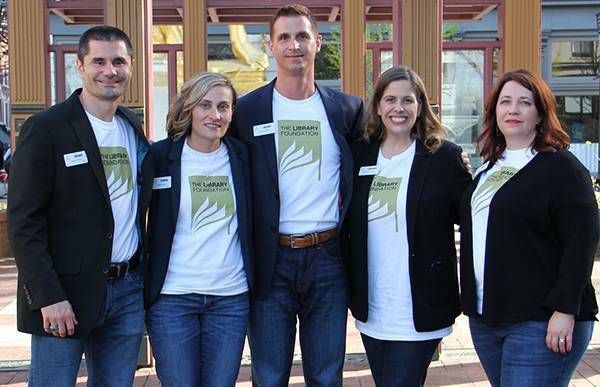 Programming includes five social impact leadership programs (Leadership Louisville, Focus Louisville, Ignite Louisville, Bingham Fellows and Encore Louisville), leadership skills training courses presented through the Leadership Green Room, and events designed to connect leaders and motivate positive change. Learn more at www.leadershiplouisville.org.